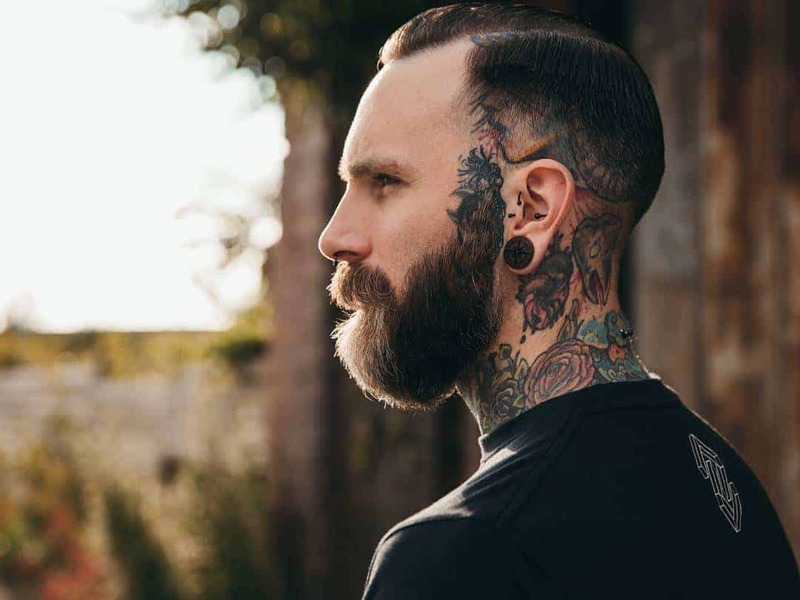 Although most men do not think about them a great deal, sideburns are generally preferred over not having them. There are many different ways to wear them. They may be long and bushy, short and neat, connected below the chin, or any other style that is chosen by the man. Regardless of how one chooses to wear them, sideburns must be maintained and shaved. There are two keys to achieving good looking sideburns. One is remembering to shave them no higher than the point where the top of the ears attach to the head. Almost all hairstyles call for some hair to extend down in front of the ears in the form of sideburns. Even those that do not, look better with a minimum cover of to the top of the ears. The second key is keeping them even. They can not be measured in relation to the ears. This is because there is a slight difference in the heights of the ears on every person. Another problem is the fact that most men have a dominant hand. This is the hand they use to do almost everything, including shaving. The normal trend is to cut the sideburn on the dominant side shorter than the off side. In order to overcome this tendency, one should use the tip of one finger to mark the point on the cheek where one is going to make the bottom of the sideburns. Using the same finger on the other hand, one should place the tip even with the first on the opposing side. Make a mental note of this spot and use a straight edged razor to cut the hair and define the bottoms of both. A straight razor is recommended, but some shaving razors include a single blade on the back side that is ideal for this purpose. Once the bottom edges are established and even, shaving off the rest of the hair from the bottom creates the defined edge. Using the finger tips again, one should double check that the bottoms are even. If not, mark the proper spot on the longer side and cut it again to even them up. One should take care not to begin too high in case it takes more than one try to get an even cut. This is how to shave men’s sideburns properly.